Donna offers a variety of speaking topics for your next women's event and will also create a custom message to fit your theme. Through her blog, Donna shares stories, reflections and truths that will encourage you to see God with fresh eyes. 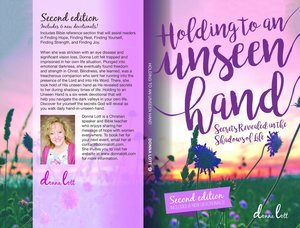 Order Donna's book Holding To An Unseen Hand or check out videos of her speaking to groups on various topics. Sign up to receive the latest blog post, news and updates from Donna!